Tranmere entertain Merseyside neighbours Liverpool tonight in what has once again become an annual fixture (7.30pm). The two sides have played each other the last two years, with the Reds running out comfortable victors last season. Jurgen Klopp usually puts a strong side out and it’s a vital money-spinner for Tranmere. Prenton Park has hosted Liverpool’s under-23 teams for the last couple of years, and there may be another Reds team joining them in using Rovers as their home base this season, we understand. More on that another day. Whether the annual friendly match forms part of those agreements we don’t know, but Rovers are rightly grateful to Liverpool for the support shown in sending a strong first team over the Mersey every summer for this fixture. Even aside from the financial benefits, it’s a great way to open pre-season and a rare opportunity for Rovers’ players to test themselves against top class players. So, what can we expect from tonight’s game? Here are five things for starters. 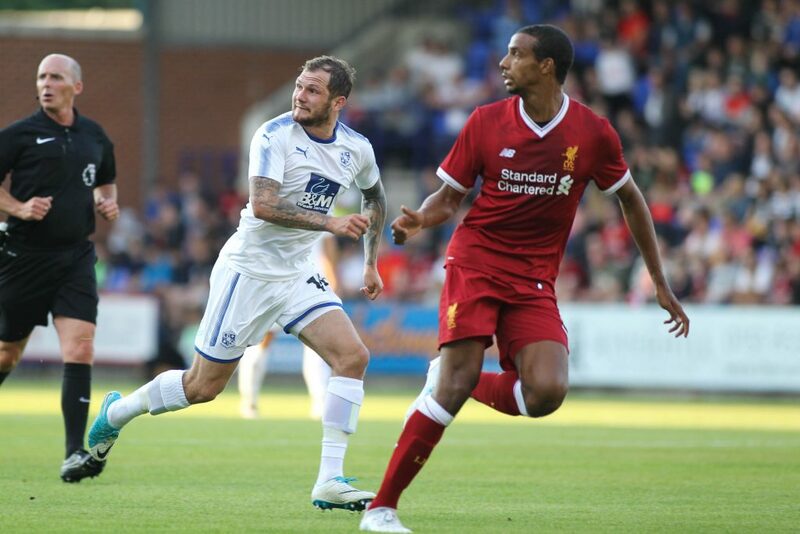 Both Tranmere and Liverpool fielded 22 players throughout their games at the weekend, with Rovers’ boss Micky Mellon making gradual changes from half-time onwards in the 4-0 thrashing of Dunfermline.Liverpool played an entirely different eleven in both halves as they smashed Chester 7-0 at the Deva Stadium. James Milner, Daniel Sturridge and Danny Ings were among the scorers.The same will most likely happen again tonight with both managers keen to see as many players as possible get minutes. Liverpool will bring a strong squad tonight, including new signings Naby Keita and Fabinho. There will also be Daniel Sturridge, Andrew Robertson, James Milner and a few more familiar names. However, it goes without saying that none of the players that have featured in the World Cup will be present. Even the likes of Mo Salah, whose Egypt team were eliminated in the group stage, are yet to return to training. It’s a game that quite a few Tranmere fans don’t have an interest in and choose to avoid, so there will be more LFC fans than home fans. That said, there will be a few thousands TRFC fans in tonight, especially the younger generations.The game seems to attract an eclectic mix of Reds’ fans, from the well-behaved, loyal fans who make a bit of an atmosphere through to the sort that like to throw flares and invade the pitch as though it’s a cup final. That’s happened the last two years – let’s hope that they behave this year. The first pre-season game at Prenton Park each summer is usually interesting purely to see the stadium prepped for the new season. Expect a stunning playing surface, a new shape or colour goals nets (usually), new sponsor boards, new stadium banners and hopefully no trace of those vile Vanarama National League signs. We can now erase those three years from our memory. It may also be the first opportunity to see Rovers in their new home kit. There will be Prenton Park bows for Mark Elliis, Jake Caprice and Paul Mullin, while Ollie Banks and Manny Monthe also make their first appearances as permanent Tranmere players following loan spells last season.Rovers fielded just two trialists in the win at Dunfermline on Saturday, with midfielder Reece Flanagan and forward Amadou Soukouna on show. Both may be involved again tomorrow night. It’s likely as pre-season goes on, more players will join the squad for trial spells. Will any new faces be involved tonight? It’s coming home: Watch the England game in the Kop!